PARIS -- PSA/Peugeot-Citroen reported a 2 percent gain in first-quarter revenue as a recovery in its home region and expansion in China boosted deliveries. Sales increased to 13.3 billion euros ($18.4 billion) from 13 billion euros a year earlier, PSA said in a statement today. PSA said the stronger numbers were "supported by the recovery of the European market and by strong growth in China." PSA's global deliveries advanced 8 percent to 725,917 passenger vehicles, led by gains of 16 percent in Europe and more than 18 percent in China, while Russian and Latin America sales fell. The stronger sales in Europe and China also helped to overcome the effects of a weaker Russian ruble, Argentinian peso and Brazilian real against the euro, as currency headwinds reduced revenue by about 5 percent, the company said. "It's been a very positive quarter that has allowed the group to return to revenue growth," Chief Financial Officer Jean-Baptiste de Chatillon said. "Our priority is to make our group profitable again. Our first focus is our pricing power and the strict management of our prices." The improved quarterly numbers contrast with the 0.1 percent revenue decline reported Thursday by domestic rival Renault, which is more competitive in emerging markets but more exposed to their fluctuations. "PSA's first-quarter results this morning showed stronger growth than at Renault," London-based ISI Group analyst Erich Hauser said in a note. "Europe is coming back strongly and the model cycle is supportive." PSA has received 70,000 orders for the Peugeot 308 hatchback, which in March won Europe’s Car of the Year award. The Citroen C4 Picasso is also selling well, with 60,000 orders for the five-seat variant and 35,000 for the seven-seat version, the automaker said today. PSA has lost money in the last two years and is teaming up with Chinese automaker Dongfeng Motor to expand outside Europe, where demand is recovering from a two-decade low. CEO Carlos Tavares, who took over a month ago, is working to reduce PSA's costs and streamline product offerings to focus on more profitable models. Tavares last week outlined plans to halt the group's losses by 2016 and return the manufacturing business to an operating margin of 2 percent in 2018 and 5 percent five years later. The new CEO also pledged to reorganize sales operations along geographical lines and reiterated a target to triple Chinese deliveries in partnership with Dongfeng by 2020, along with restoring profit in Russia and Latin America. Tavares said he will cut PSA’s lineup by almost half and turn Citroen’s DS badge into a separate premium brand. PSA today reiterated its turnaround goals as well as a 3 percent European market growth forecast for 2014, without giving any full-year sales objectives of its own. The group's European passenger car sales rose 7.5 percent in the quarter, according to industry data published earlier this month, broadly in step with the market's expansion. PSA shareholders were voting today on whether to support the 3-billion euro capital increase to boost the automaker’s funding. The share sale is part of an agreement under which Dongfeng and the French state will pay about 800 million euros apiece for 14 percent stakes each. 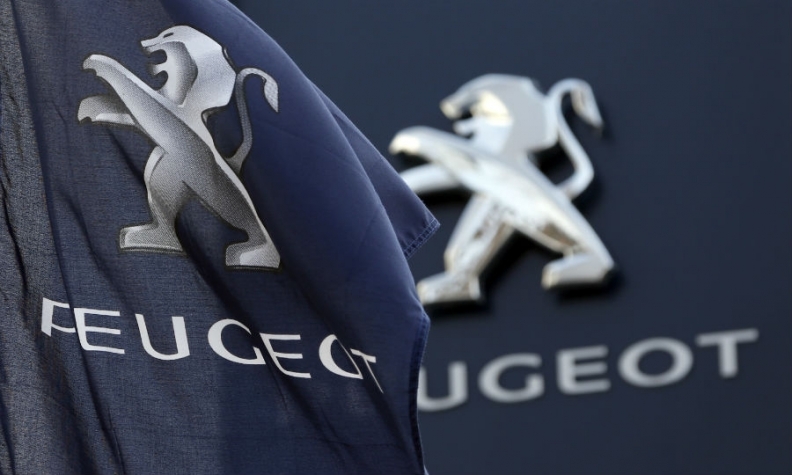 The Peugeot family’s holding in the company will fall to 14 percent from 25.5 percent.